Cardinal Pair II is a painting by Philip Hall which was uploaded on January 14th, 2010. I painted these cardinals in oil directly on a thick piece of birch bark. I have sold the original. 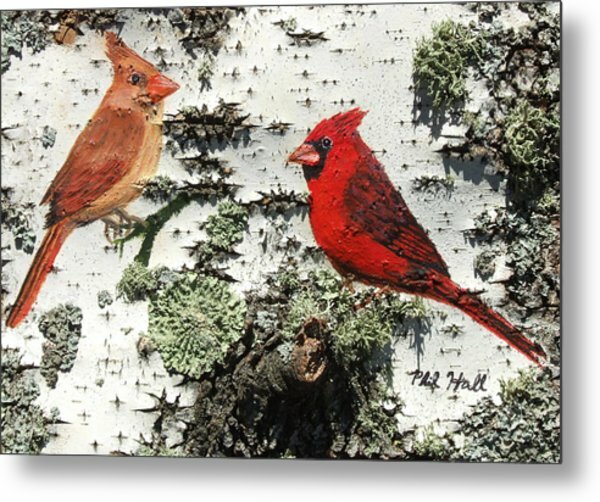 I am unsure why it is saying I am from Indiana as I am originally from Northern Illinois but I currently live in Grand Rapids Michigan for the last five years and actually found your art piece at the local Goodwill and found it to be stunning and unique so I bought it and have had it hanging on my wall ever since. I just recently Google your name and found a picture of the piece I now own. Mr. Hall. I am posting this comment to find out where the original was created and in what state it was sold in. I happen to think that I am now in possession of the original and was hoping to get the background story on it. 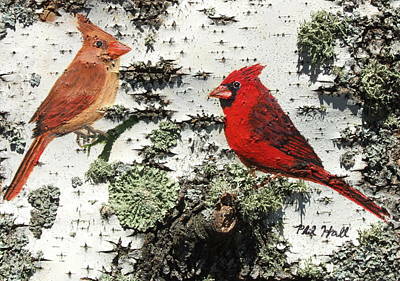 The female and male cardinal are painted on actual birch bark. 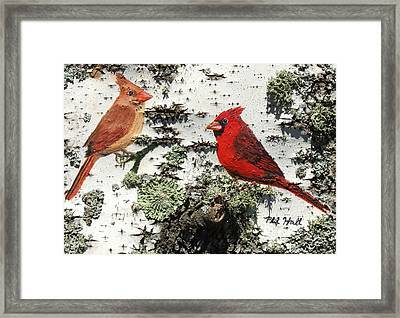 I found your signature on the piece and have it proudly hanging in my home. Do you make any more pieces on actual birch bark or was this the one and only? I look forward to hearing from you. Regards. John Patrick Jr.